They are in the middle of their toughest stretch in the schedule and that has Coach Anderson and his players wondering what can bring them out of this slump. It has been a rude awakening for the freshmen who joined the team only a month ago, as Tri-C has dropped four consecutive games in a row and the schedule continues to get tougher. After opening up with a hard fought win against Jamestown CC, Tri-C has struggled and at times been completely overwhelmed by their opponents. 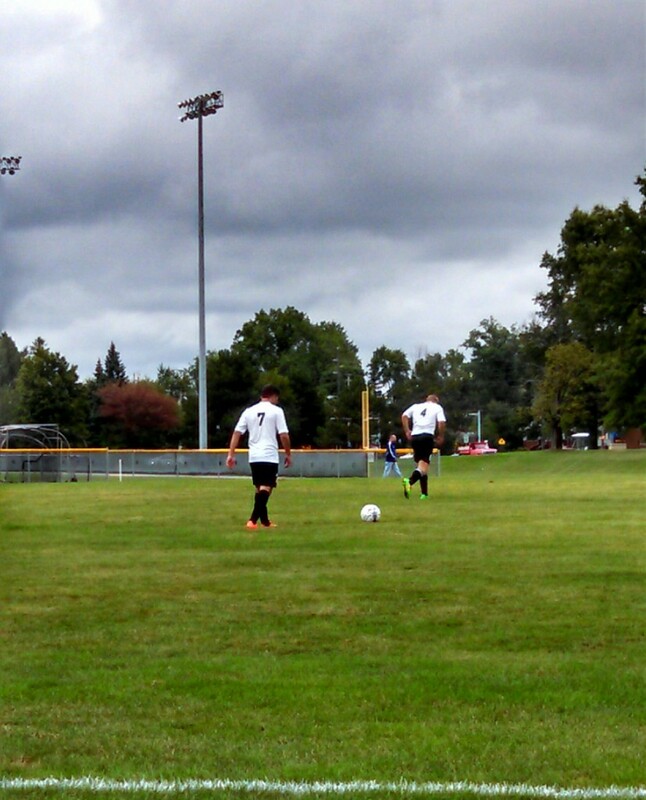 Things took a turn for the worse Wednesday, when they fell behind 3-0 against Owens CC and quickly gave up two more goals in an ugly 5-0 defeat at their home opener. Things got even worse on Friday when regional powerhouse Schoolcraft came to town. From the opening kick, Tri-C found itself on the defensive against Schoolcraft’s high powered offense. Returning player Aaron Mohr expected the challenge. “We felt like we were going to be on the defensive but we felt we could also get in a couple good counters,” said Mohr. 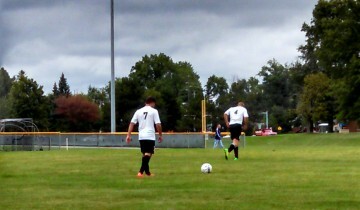 After the first 20 minutes, Tri-C trailed 2-0 but still hung in there. That is, until Jon Quintana scored two consecutive goals, including one a few minutes before halftime. As the rain came pouring down, Tri-C found themselves in a 0-4 hole. After a competitive first 20 minutes of the second half, Tri-c’s goal keeper John Paul Duff could not hold off Schoolcraft any longer as the skilled and experienced team from Michigan found the net twice more to seal an easy 6-0 win. With such a large amount of new players, the team has found itself trying to find it’s identity. “We need to figure out each other’s tendencies and personality’s and really get to know each other as a team,” said Jacob Marianut, who just joined the team last week. He hopes over time the team will blend together and smoothen the chemistry on the field, leading to more consistent play. Tri-C has given up 11 goals in just two games. Dark and ominous clouds hung over Tri-C during both games, culminating with a downpour both on and off the field on Friday. Tri-C will look to put these disastrous home games behind them as they travel to defending champion Cincinnati State on Sept. 19 in hopes of clearer skies.